The University of Washington and Microsoft Research have developed a camera that can see beneath a piece of fruit’s skin to see if it’s starting to go bad. The Hypercam, which has been developed by a team of computer scientists and electrical engineers, uses hyperspectral imaging technology to gather images from across the electromagnetic spectrum and combine them into one picture. Whereas regular cameras capture just red, green and blue wavelengths, the Hypercam also uses both visible and invisible near-infrared wavelengths to see beneath the surface of objects. The camera flashes with 17 different wavelengths of light in sequence, capturing a different image for each wavelength. "When you look at a scene with a naked eye or a normal camera, you're mostly seeing colors. You can say, 'Oh, that's a pair of blue pants,'" lead author Mayank Goel said in a statement. 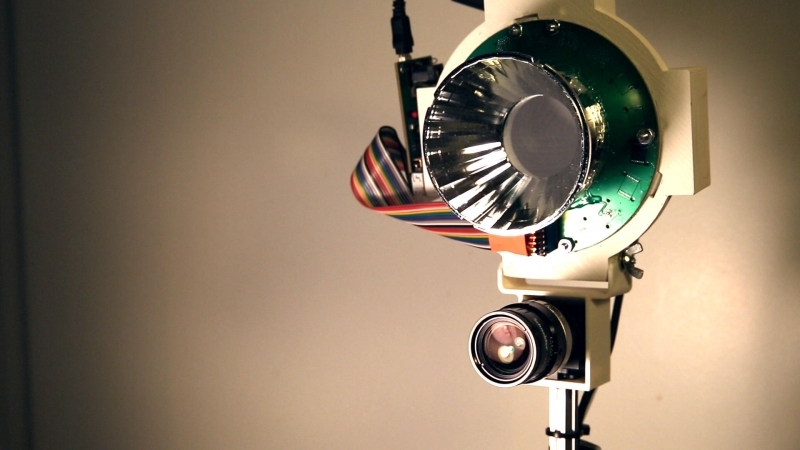 "With a hyperspectral camera, you're looking at the actual material that something is made of. You can see the difference between blue denim and blue cotton." The technology used in the camera is typically found in industrial applications and space programs, often at a cost of several thousands of dollars. The team behind the Hypercam claims its device costs roughly $800, but could be added to a smartphone camera for as little as $50. “Existing systems are costly and hard to use, so we decided to create an inexpensive hyperspectral camera and explore these uses ourselves. After building the camera we just started pointing it at everyday objects -- really anything we could find in our homes and offices -- and we were amazed at all the hidden information it revealed," said Microsoft researcher Neel Joshi. Should the technology eventually come to smartphones, it could result in shoppers using it to examine a store's fruit as a way to ascertain its freshness. When tested on 10 different fruits, the Hypercam predicted the ripeness of each piece with 94 percent accuracy. The Hypercam could also be used as a biometric tool for security systems. The camera can reveal vein and skin texture patterns in hands, and was able to differentiate between images of hands from 25 people with 99 percent accuracy. One issue with the camera is that it doesn’t work particularly well in bright light, as it proves too much for the sensors. The researchers say they will now be working on overcoming this problem, as well as finding the best way to implement the technology into smartphones.